Last week we did a post about home made thin crust pizza and I assume all of you who were equipment deficient (oops, my friend Bob hates that term) have now purchased your pizza stone and paddle, which we will now put to a different use. It started when I got a cryptic text from son-in-law Patrick saying, “try veggies with a little olive oil roasted on a pizza stone for 12 minutes”. Since he is a respected Bravado cook (rice dishes being his specialty), I couldn’t ignore him completely. I asked for more info and his only response was that he saw it on the web. I was about to start dinner so I decided to try. 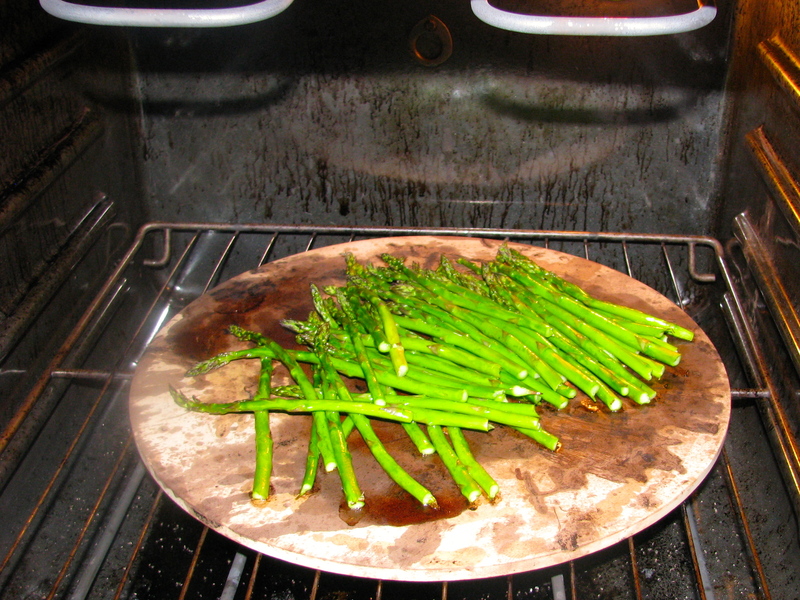 I quickly got the pizza stone into the oven at 450 degrees – you need about 30 minutes for it to really heat up – and tossed some asparagus with about 1 Tbsp. of olive oil and a dash of salt. 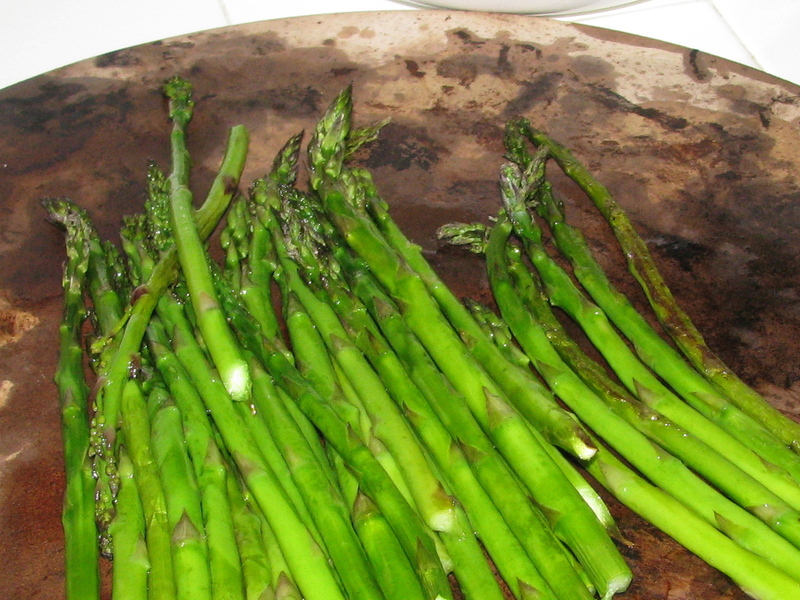 I plopped them on the stone and in 12 minutes I had a perfectly roasted vegetable. Wow! You have to try this. Give it a try and report back. I will also do some more experimenting. Sorry that the pizza stone looks so grungy – that’s the way they get with use.